Поддержка копий XGD3. Копии проходят все проверки подлинности, включая размер диска. Enhanced support for Sputnik MXIC unlock Methods. Support to extract and patch calibration data at 0x1FF80. In some cases 0225 may give "Play DVD" error randomly, without this data. New OFW and dummy parse recognition..
Minor release to tighten up error handling.. Selection is automatic based in inquiry info etc. Support for Lite-On key extraction, Using Pуgу Mo Thуin DIY probe or Xecuter Probe III. file is included and should be copied to JF folder if needed. checks JF folder for existing files and uses those if present. Extra checks to determine drive hardware type, as opposed the Inquiry info. Key is easily queryied from Samsung and Hitachi pre 78, can grab key, verify and lookup KeyDB. Fancy icon on the Drive Properites group box and tooltip to display Key and KeyDB info. Now index by Lite-on barcode, barcode will be added at next refresh for rapid Drive ID. Added an new field call LastFile, this will point to file last used to update KeyDb. Useful if you want to refresh KeyDb with all your Lite-On files. This is used on Drive Properties Context Menu, to load an OFW. - for non lite-on, will test ALL keys in KeyDB and return on a successful hit. - they may put spoof in place but LT will ignore it. Master Checksum now set when spoofing stock Hitachi in firmtools. Bug fix - JF no longer crashes when saving encrypted Hitachi. German, French, Greek and Portuguese added. Spanish, Italian and Russian to follow. - both found recently, support added. Using Schtrom's driver portIO driver, which includes 64bit support. New keyDB, right click source tab. Stabilty success message is bypassed in Moddermode. - the drive on the current port and disabled if found.. Warning changed for dummy.bin w/o serial, to mention is possibly ok. Database will be populated automatically from a dump. drives would select incorrect version. - Mode Select method removed from Port IO. Mode Select is for USB support, port IO does not support USB. - Now stops on bad device ID. - Bug, fixer added drive barcode byte swapped to Identify string, fixed. - was failing for at least one user.. typo in last cleanup. fixed. - dots and timer added for better appearance. 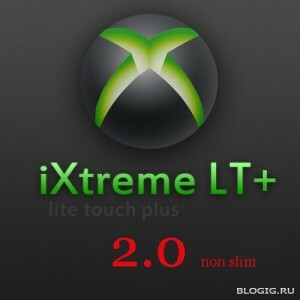 Официальный релиз прошивки LT+ 2.0 для приводов BENQ, Samsung и Lite-On (DG-16D2S). Поддержка копий XGD3 с использованием LT-MAX для максимальной вместимости на дисках DVD+R DL. Копии проходят все проверки подлинности, включая размер диска. 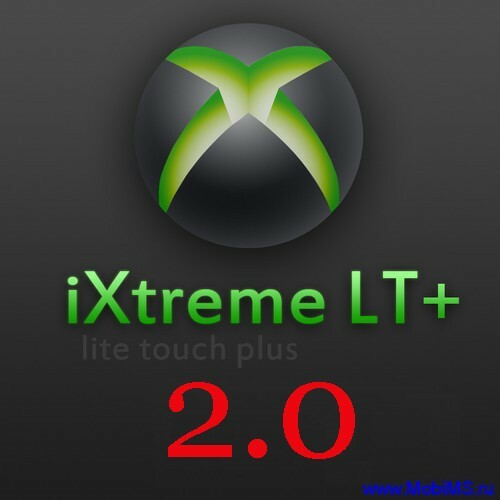 ----------------------------------------------------------------Official release of the iXtreme LT+ v2.0- Support for XGD3 ixtreme backups using LT-MAX for maximum capacity on standard DVD+R DL discs. Passes all security checks for XGD3 including correct capacity.- Support for large capacity DVD+R DL media (no errors when burning)I would like to dedicate this fw to the Xbox Live Enforcement Team and the recent false (AP25) bans and subsequent reversal. Keep up the good work guys.Thanks go to Team Jungle for their hard work and efforts in the development process. ---------Common API designed for easier application use!-Support for SS V2!-Support for AP25!-Support for XGD3 ripping!